I’ve written on innovation myself, applying a very simple framework to classify examples within my own technology specializations, for instance in my 2014 article, Sentiment Analysis Innovation Sources. But if your innovation aim goes beyond casual reporting — if you want to systematize and promote positive change — a much thorough analysis is in order. Bpifrance and FING provide just that analysis in their ebook. — but you’re going to need to read the full ebook to really get at the work’s many deep insights. Those insights reside in the ebook’s review of other analysts’ work and in definitions, case studies, examples, descriptions of innovation models, and the many, many assessment questions proposed. I’ll provide another clip. This one is an example of a finer-grained classification of firms’ initiatives according to key questions the act as subcategories within the Sales and Marketing Innovation category. — but I must say, I’m left wondering, How did it do? Did the kits reach intended recipients? Was this initiative effective, that is, did it save lives or reduce the incidence, severity, or consequences of cases? Did this innovative idea prove to be a good one, once it was implemented? 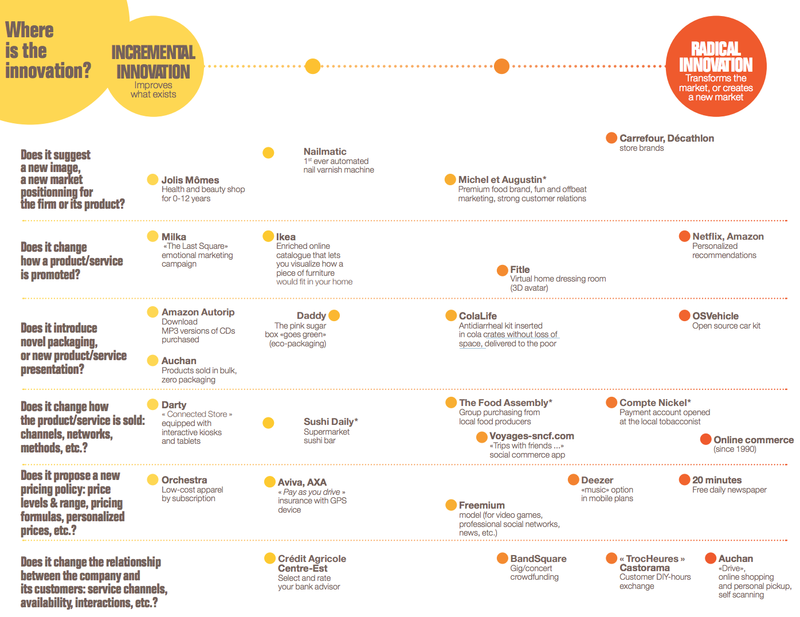 Next Generation Innovation leaves me wanting more, specifically, an extension of the Bpifrance-FING innovation-assessment framework to cover impact, cost, and risk, both before-the-fact estimation and after-the-fact measurement. As the saying goes, just because you can, doesn’t mean you should. For a given idea, how do you decide whether you should? And how do you learn from the experience in order to improve future assessments, decision-making, and results? Classification alone, no matter how deep and comprehensive, won’t provide predictive confidence nor feedback on ROI. Classification aids in understanding, but understanding is only one step toward the larger goal, which is systematic, institutionalized innovation. 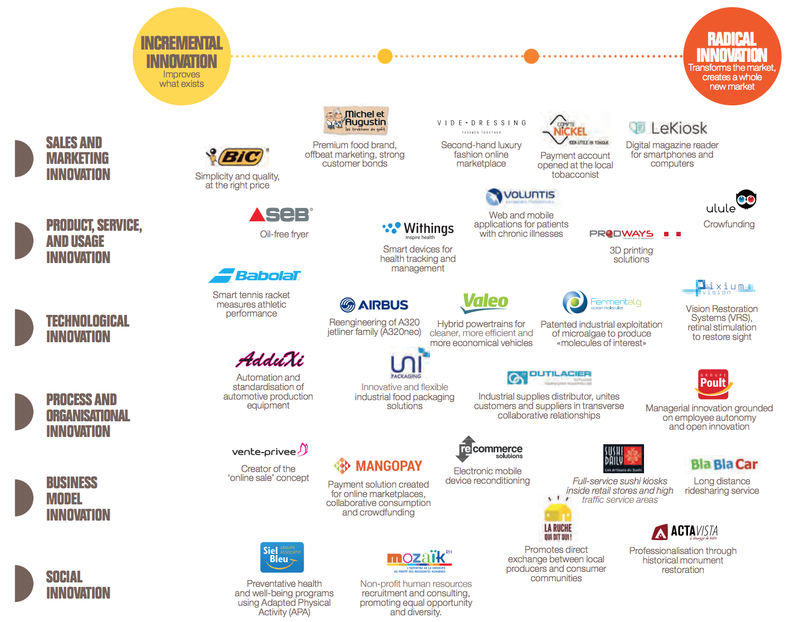 But when it comes to innovation classification, I’ve seen nothing better and more useful than Bpifrance’s and FING’s Next Generation Innovation.